Music and Meetings Venue – St Vincent's Chapel, Edinburgh, the village church in the heart of the city. 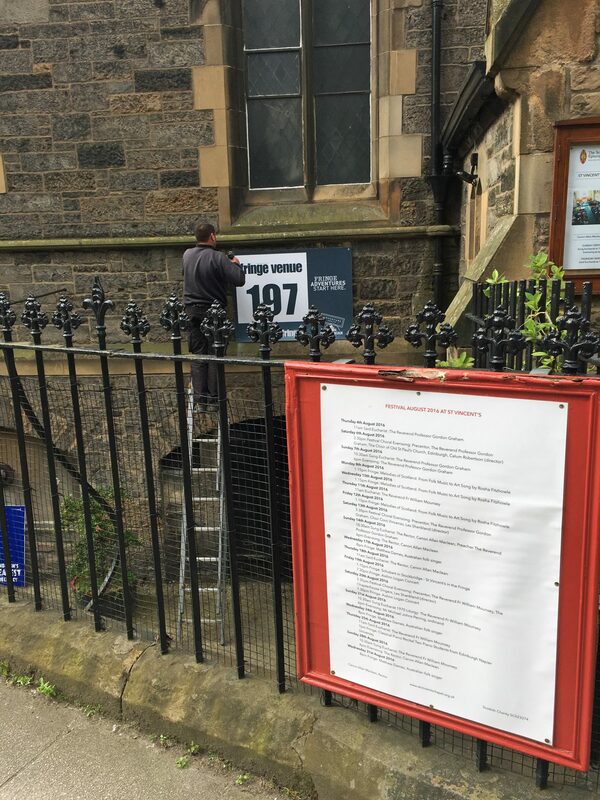 Whilst church services take priority – we are a growing congregation – it is pleasing that St Vincent’s is one of central Edinburgh’s smaller but highly prized venues for a wide range of meetings – learned societies, community council, book launches, bible studies and many more – and for music making. The Refectory (at the back of the church) seats 35 whilst the Church seats about 125. Each can be hired for a morning, an afternoon or an evening. The Hon Barnaby Miln is the Vestry’s Property Convenor responsible for bookings at St Vincent’s and incidentally, for the past twelve years, the classical music editor of edinburghguide.com. Both church area and refectory are in regular use for music practice by individuals and groups. Sometimes we agree a monthly fee to come and go whenever the Refectory is not otherwise in use, sometimes we charge by the session. Some of our visiting musicians offer lessons. Prospective pupils and indeed music teachers are invited to enquire. In addition to the distinguished church organ in 2016 we bought a new 7′ Petrof Weinbach grand piano for the church. There’s a mellow Blüthner upright piano in the Refectory. Since May 2018 we also have a Makin Westmorland Sapphire 45 three manual organ, a bequest from the late George Hay FRCO. 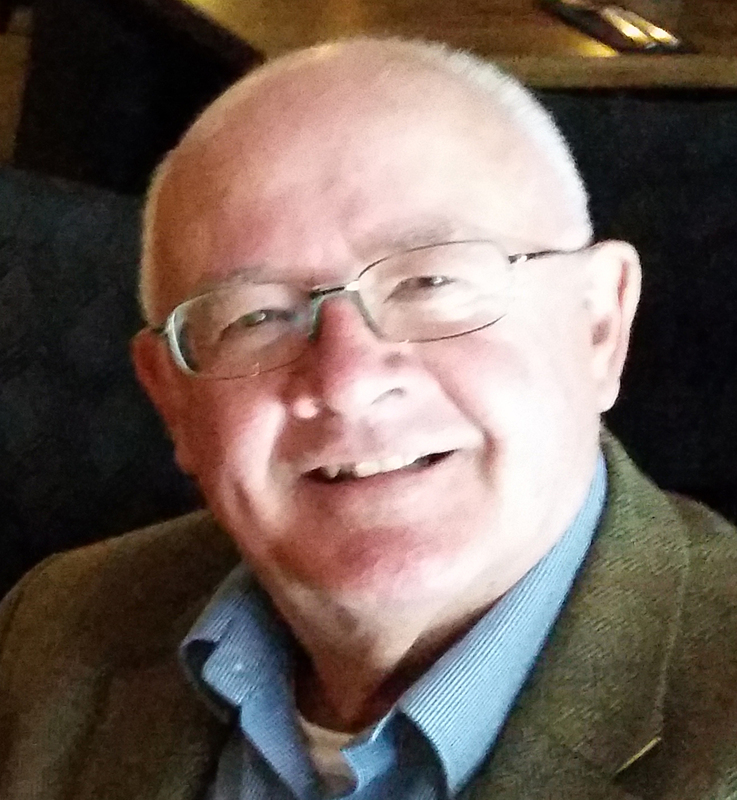 Our Director of Music is Les Shankland. He gives organ, piano and basic music lessons. Our Composer in Residence since March 2016 is Dr Harry Whalley. Harry is also Course Director in Composition and Technology at the University for the Creative Arts. 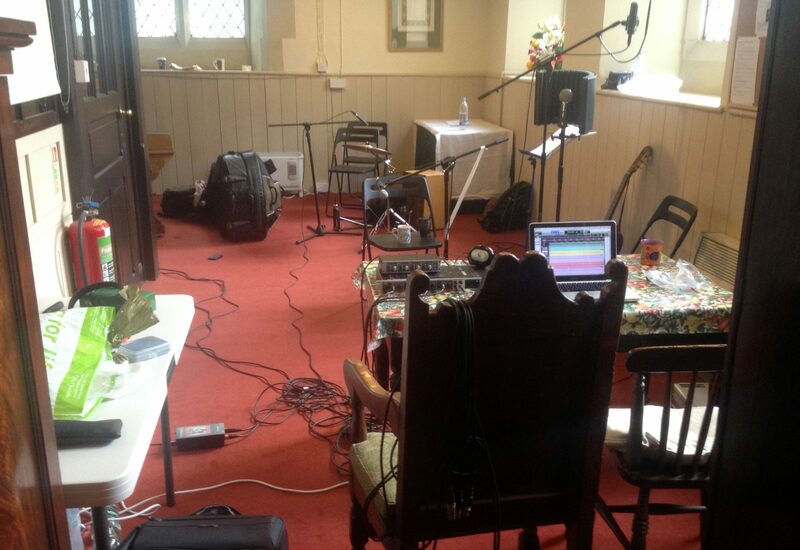 The Refectory set up as a recording studio for two days of Irish Folk Music in June 2015. Concerts, both classical and folk, take place regularly in St Vincent’s. There’s seating in the pews for about 125. 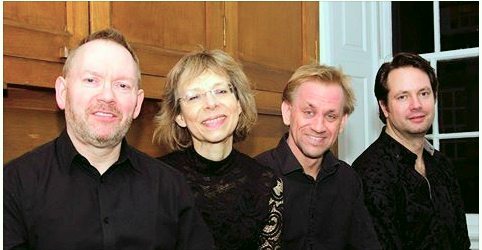 The highly regarded The Edinburgh Quartet have made St Vincent’s their year-round rehearsal home since 2015. The Dunedin Consort and Hebrides Ensemble have rehearsed in St Vincent’s over several days. 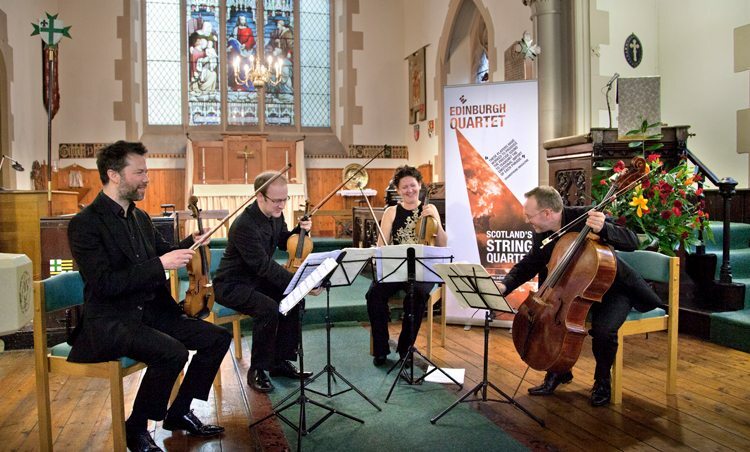 The Gildas Quartet with Pete Furniss, clarinet, have performed Harry Whalley’s A Report To History at the first Composer in Residence concert on 22nd October 2016. The Artisan Trio performed Harry Whalley’s Pivot and Loop (2017) and Forever and Shall Be (2014) at the second Composer in Residence concert on 13th May 2017. The brilliant young pianist Svetoslav Todorov gave the first performance of Harry’s Leighton Contrasts on 21st February 2018. The Hans Gál Society rehearsed the opera Song of the Night over two weeks in May and June 2017 for its first UK performance. Robert Fleming and Adam Kilgour gave their Edinburgh Napier University Honours Degree Piano Recital on 5th May 2017 on our Weinbach Petrof grand piano. Andrew Lyons (guitar) and Lauren Quither (clarinet) gave their Edinburgh Napier University Public Recital on Saturday 5th May 2018 in St Vincent’s. Folk groups rehearse and indeed record in the Refectory. Lizabett Russo’s album The Burning Mountain was launched with a concert on 10th December 2016. Kate and Raphael’s launch on 17th June 2017. 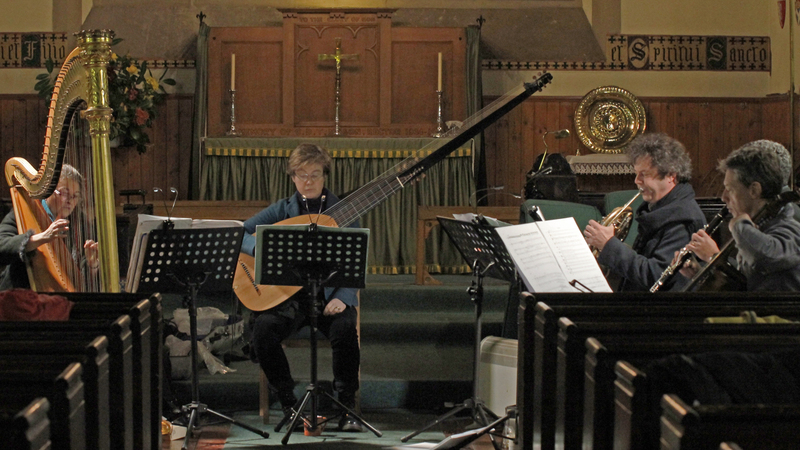 Hebrides Ensemble spent three days rehearsing in St Vincent’s at the end of November 2015. Since 2015 St Vincent’s is proud to have been Edinburgh Fringe Venue number 197. Enquiries are now being taken for the Fringe in August 2019. Please note that if you book St Vincent’s for a Fringe performance it is your responsibility to enter the official Fringe Programme and your responsibility to seek an audience. As last year, the second week of the three-week-long Fringe is reserved for the Sacred Arts Festival at St Vincent’s. 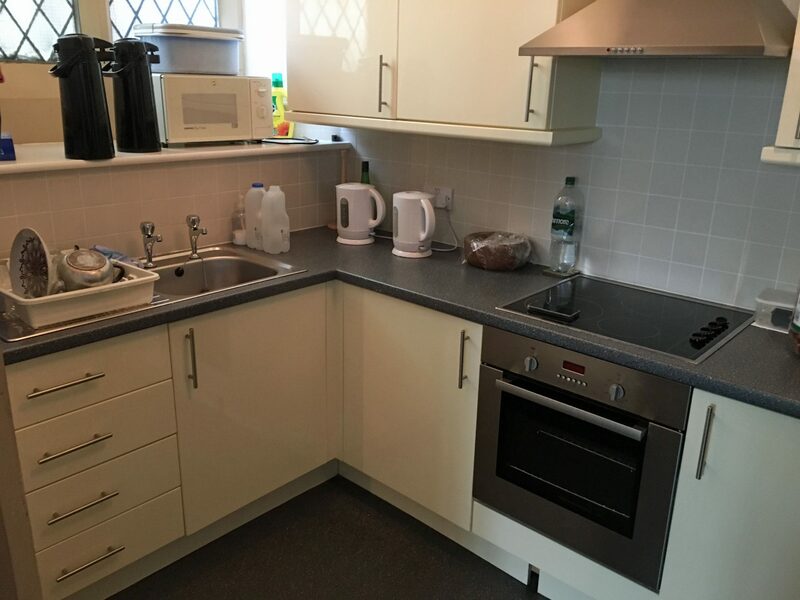 Our well equipped kitchen is an extension to the Refectory.